Subaru Cherry Blossom Festival welcomes Rio Koike to Sakura Sunday! From appearances on NBC (Last Comic Standing) to Comedy Central (American English With Jimmy T), ballroom dancer turned comedian Rio Koike performs routines to audiences all over the world. 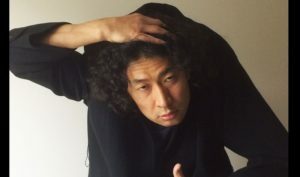 Shooting to fame in 2005, in part due to his appearance on Last Comic Standing, Rio Koike has garnered an international following. Returning to the main stage for his ninth year, he will bring his energy and unique perspective as an emcee for Sakura Sunday. To see his upcoming projects, visit Rio Koike’s website here.